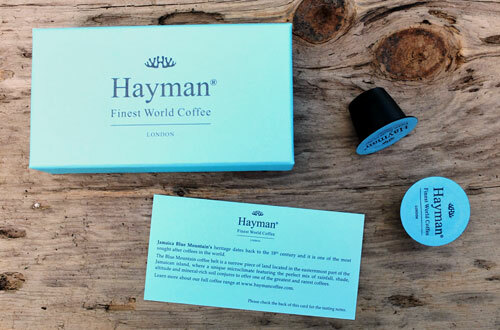 Our review of Jamaica Blue Mountain coffee pods from Hayman Coffee. Many thanks to the folks at Hayman Coffee for sending us some of their Jamaica Blue Mountain Coffee pods. 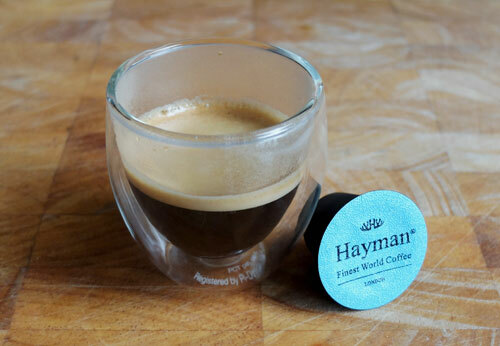 Hayman Coffee is a London, UK company, and is focused on the very top end of specialty coffees. 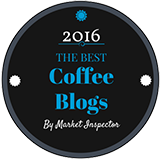 They’re all about coffees like Jamaica Blue Mountain, Hawaii Kona, Panama Geisha and other top-rated coffees. And if you live in London, you’ll find their coffees in stores like Harrods and Selfridges. As you can see from their packaging, they’re all about quality at every level. For now it seems they ship their coffees only in Nespresso coffee pods. From what I can tell, whole beans and ground coffee will be available soon. 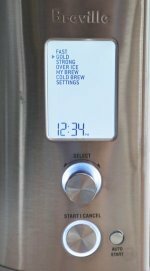 They send us a few pods of their Jamaica Blue Mountain coffee, which we used in our Inissia Nespresso machine. I’m glad they chose that coffee to send us because, as you may know, I’m quite knowledgeable when it comes to Blue Mountain coffee. You can read about my experiences in the mountains of Jamaica here. First, I asked my wife to create a blind test for me. One of the espresso shots in the photo below is the Blue Mountain Coffee from Hayman Coffee. The other is a medium-intensity espresso blend from Café Agga. I wanted to do this A/B blind test to set a baseline for my tasting of the Hayman coffee. Turns out I aced that. 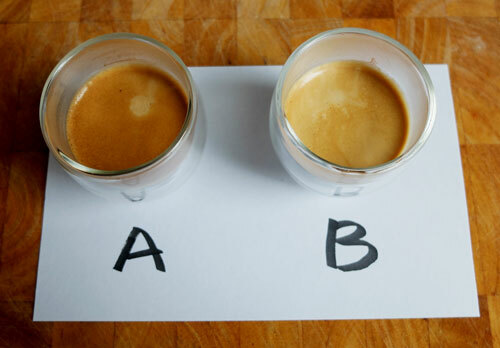 The Hayman Coffee espresso is the one marked B. It was certainly smoother than the Agga. This is no criticism of the latter. It’s not like both were coffees from the same region, going head to head. But comparing them in a simple side-by-side taste test gave me a starting point. 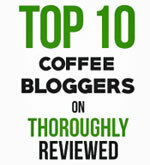 I needed that comparison because I have more experience tasting regular coffees. I’m a lot less experienced with espresso. But I did find a lot of shared qualities between the Jamaica Blue Mountain coffees I have tried and this espresso. I found the same mildness and smoothness. Full, but with no sharp edges. Silky, multi-layered, and with a hint of citrus. In short, this was a very nice espresso, and I look forward to enjoying the remaining capsules. And when they start shipping their coffees in whole beans, maybe they’ll be kind enough to send me a bag or two to try!